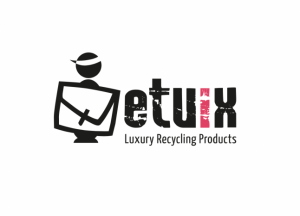 Etuix comes to life by combining an ecologic philosophy, passion for fashion, design and creativity. When advertising posters are at the end of their campaign and destined to be destroyed, Etuix recycles them, transforming them into purses, bags, backpacks, wallets, shoes, belts and much more. In 2009, Etuix becomes a real object, a perfect harmony between the Swiss planning of the concept, and the skillful "Made in Italy's" craftsmanship.